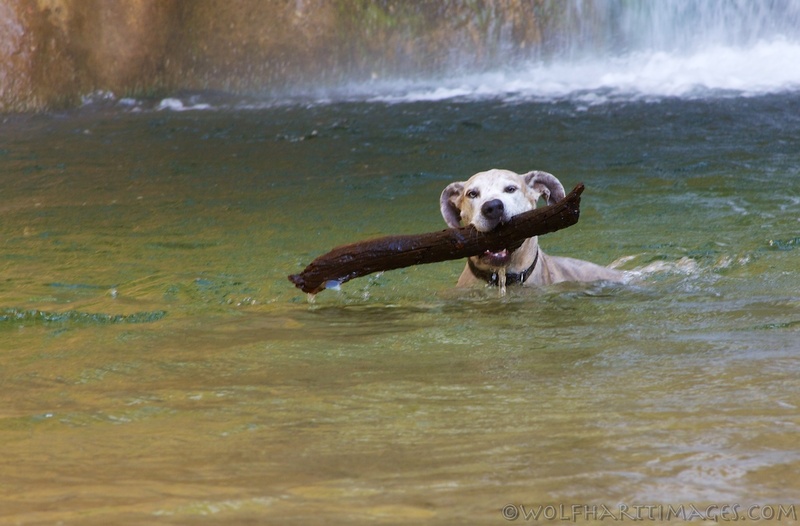 Another great pet friendly hike in Grand Staircase-Escalante National Monument is Lower Calf Creek Falls. 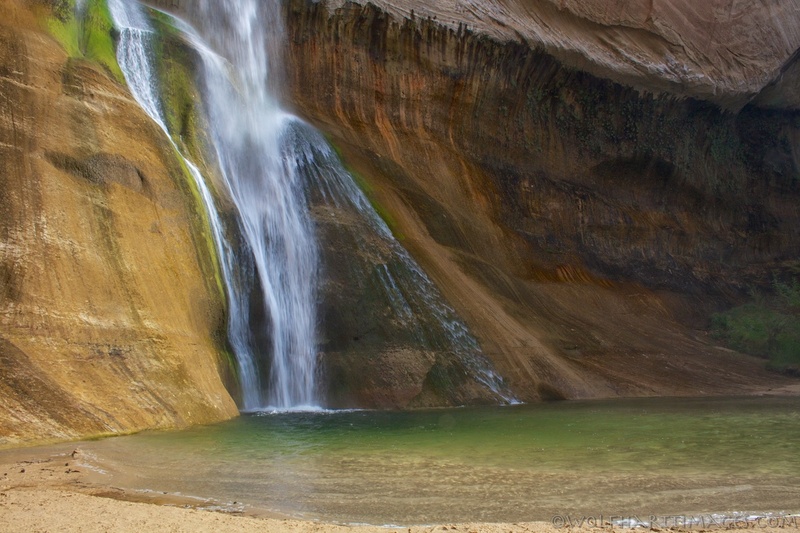 It is a 2.5-3 mile hike to the falls starting at the Calf Creek Campground. Most of the hike is in the open with only an occasional shade tree and few places to access the river. Once you get to the falls the spray coming off the 126′ fall creates a cool oasis surrounded by trees. 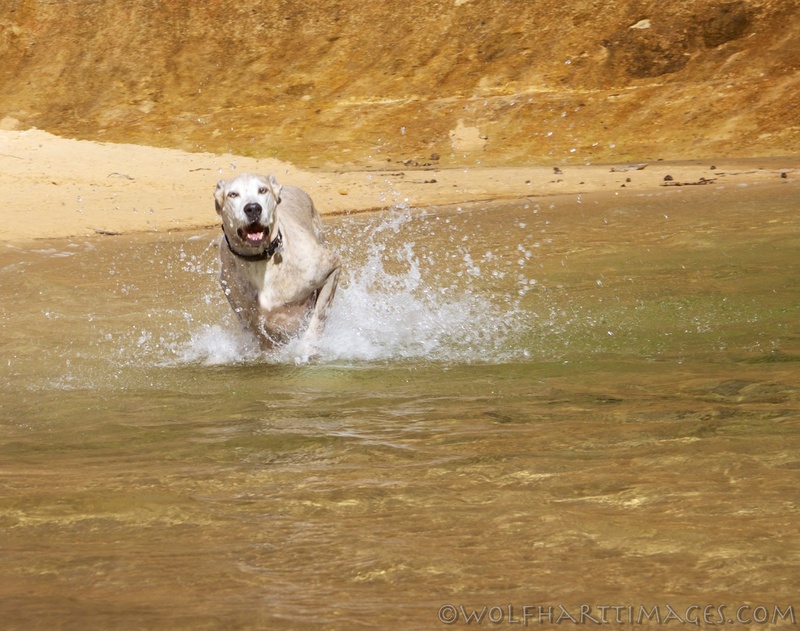 Pets do need to be leashed on the trail, it can be narrow and busy in some places and it is best to go early to avoid the worst of the heat during the summer. 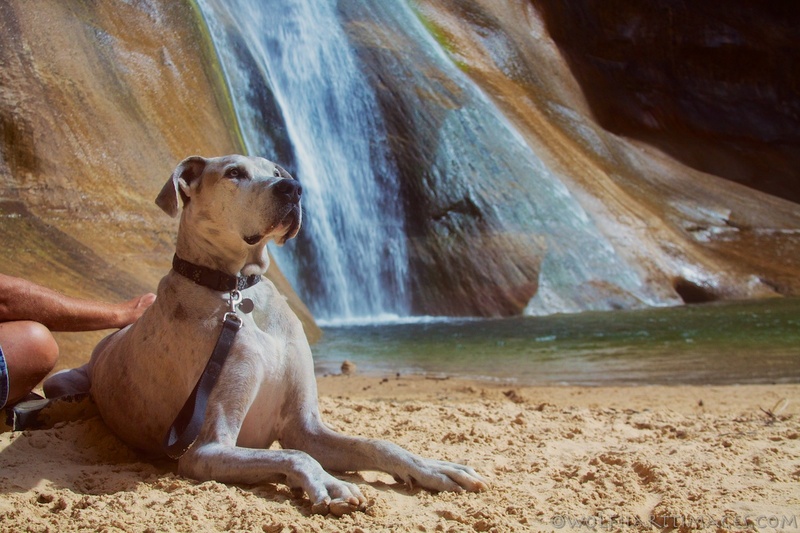 This entry was posted in Dogs and National Parks, pet travel and tagged Escalante, Great Dane, Have Dane will travel, hiking, National Monument, pet travel, Utah. Bookmark the permalink.